Why "stiffer is better" and how to get it in 30 minutes or less. If you want your suspension system to work the way it was intended, you need a stiff, unyielding chassis for it to work against. 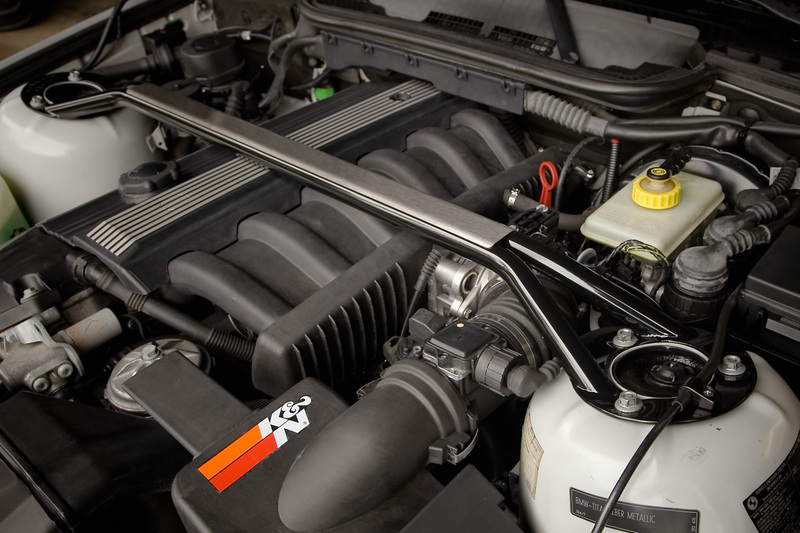 And by keeping your car solid whenever you hit a bump or corner hard, our Ultimate Strut Brace "locks together" an otherwise non-rigid section of the car, making it the only way to adequately brace and stiffen your chassis. Find out why ours is best and see what it can do for you and your car by Clicking here to learn more. How to get ultimate handling and performance from your car now. Dynamic misalignment of your suspension happens every time you hit a bump, brake hard, or corner with aggression. This causes decreased cornering power, flex, and vibration, that can be very unsettling. 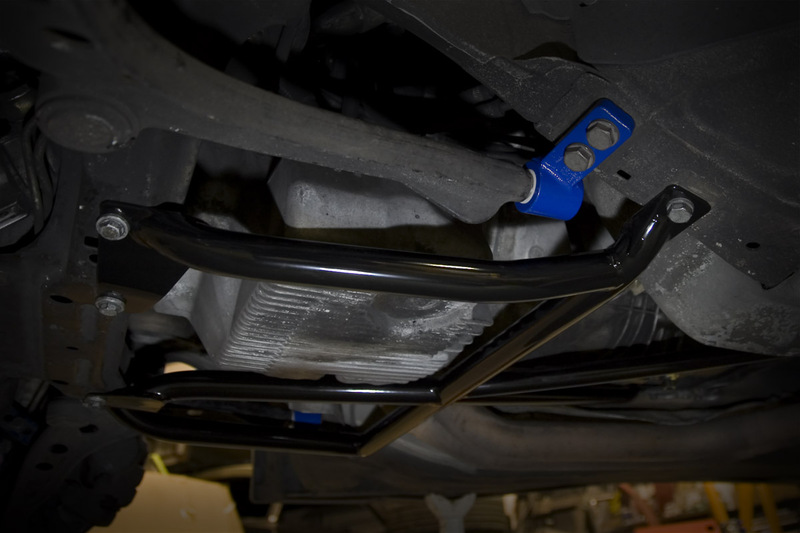 Our Ultimate Chassis Brace stiffens your car for superior handling, unachievable by any other way! See why the Ultimate Chassis Brace is the only way to get the most from your car by Clicking here to learn more.